Changing Room Cubicles are essential for small and larger retailers alike, that wish to provide the next-level of superior customer service to their customers. By allowing your customers a safe place to try on your products, you are providing them with the ultimate shopping experience, as well as providing your business with an asset that will go a long way to boosting your sales. 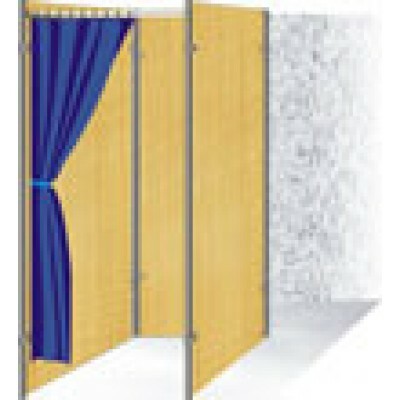 This freestanding changing room cubicle can be placed anywhere you desire to instantly create your own changing room system. Use this to transform the way your store operates and to be the envy of your competition. Specifications: Height: 2210mm; Width: 1000mm; Depth: 1000mm. PLEASE NOTE: Curtain, tie-back and rings not supplied.